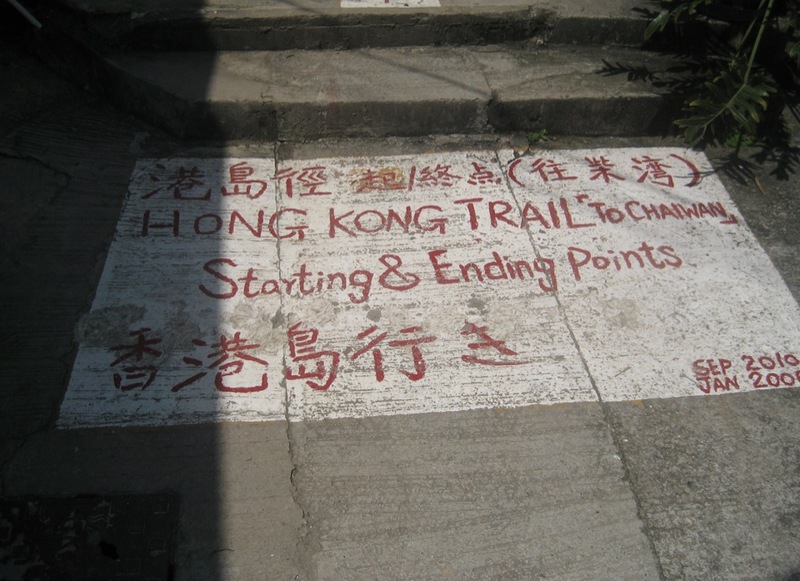 Hong Kong Trail Stage 8 is the final stage, a final 7.5km to get you to the end of the 50km trail. 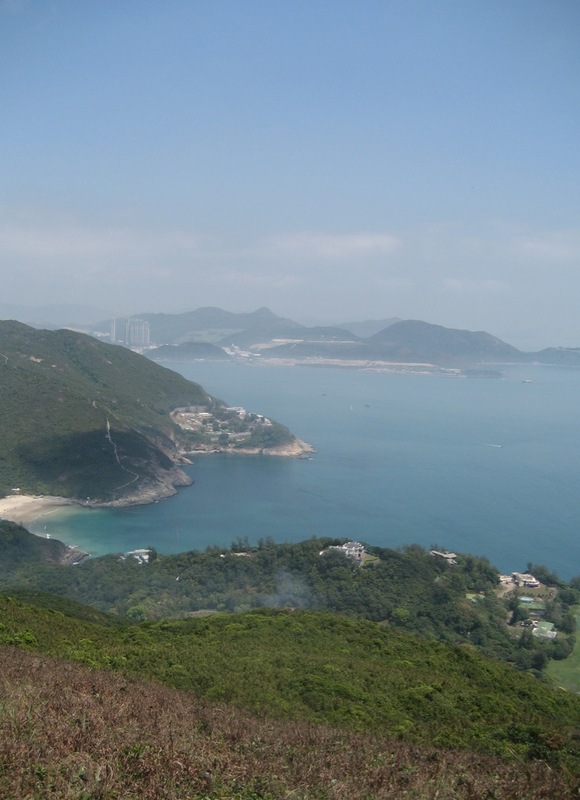 I’ve walked it in both directions, either starting at Shek O or ending there. Either way it is a nice walk. 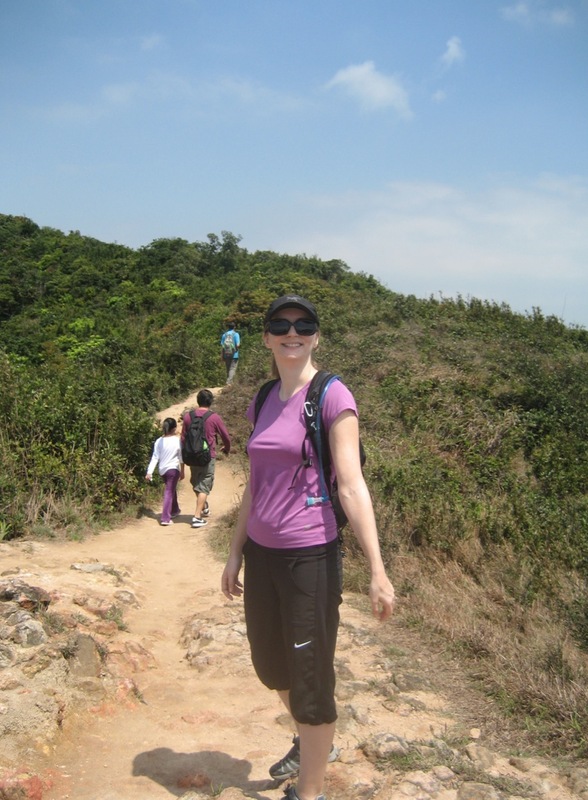 The one that I took the pictures on was a walk from the end of stage 7, so we started at Shek O Road, not far from the Quarry. The start of Dragon’s Back is quite steep, and as we came straight from stage 7, we decided to take our time and have a picnic break at the side. 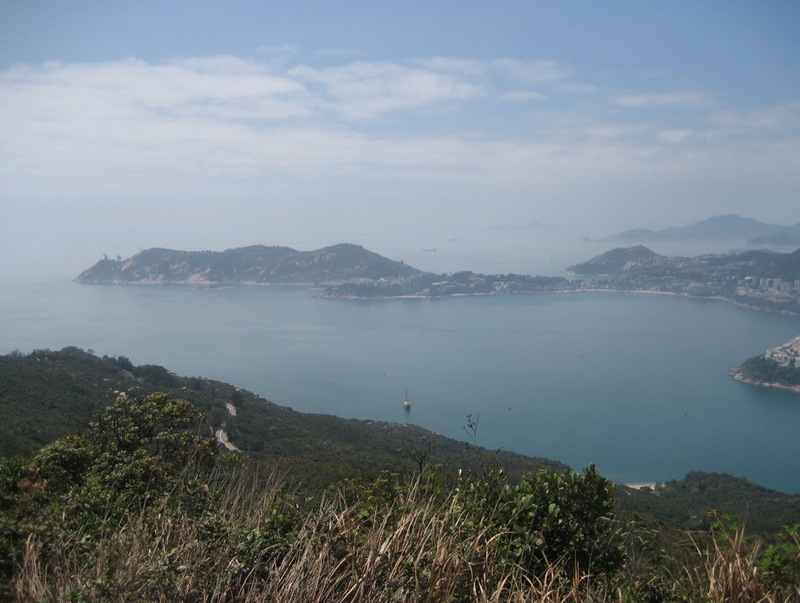 We followed the picnic site signs and then sat down, ate fruit and enjoyed the views over Tai Tam Harbour. We then walked the steps uphill to the first section of the Dragon’s Back. 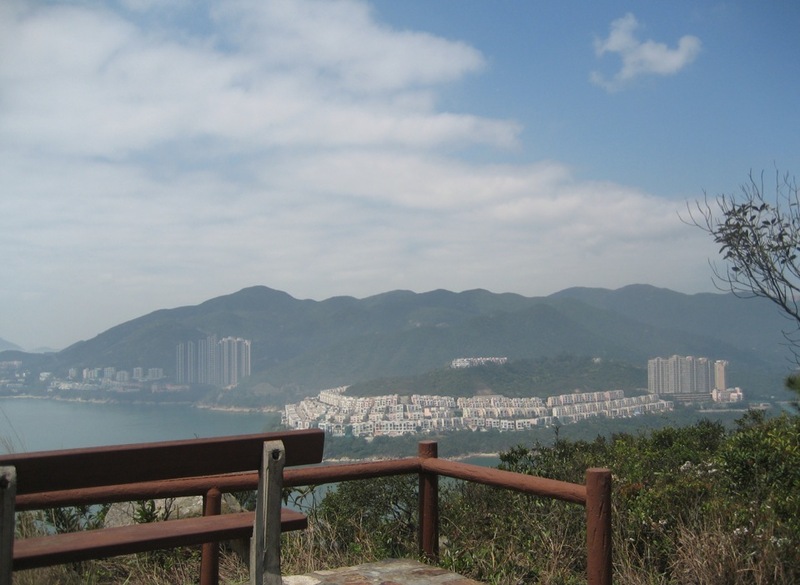 There are some great views along this section of Tai Tam Harbour to the left and Shek O and Big Wave Bay to the right. 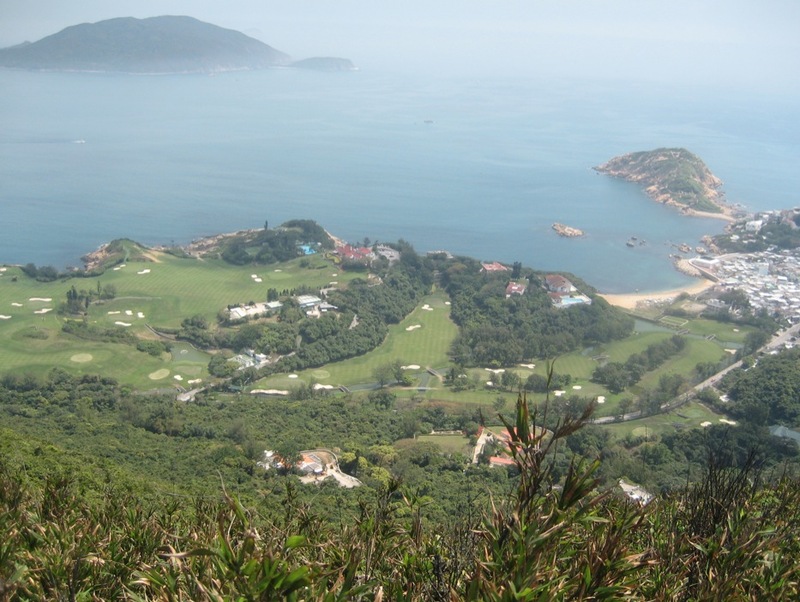 A few steps along the path you can also see the big golf course next to Shek O – very posh looking indeed. I am sure it must be pretty expensive to play a round of golf there. We hiked on a sunny Sunday so lots of people were on the hike (which is fairly easy) but it was such a beautiful day that we did not mind. We just enjoyed the view and had a good time. 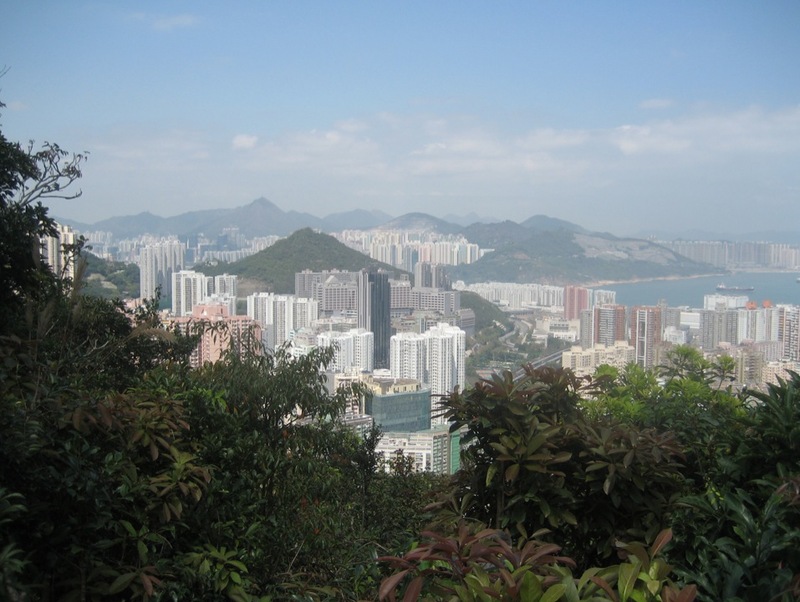 … as well as Big Wave Bay, until Chai Wan were amazing. The hike then leaves Dragon’s Back and moves to the inside of the hill and you walk along a shaded path for the next 20 minutes. This path is nice and easy again, if not a little boring – as you won’t see much. There is hardly any view, but because it is covered and protected this section must be more popular on a very hot and sunny day! 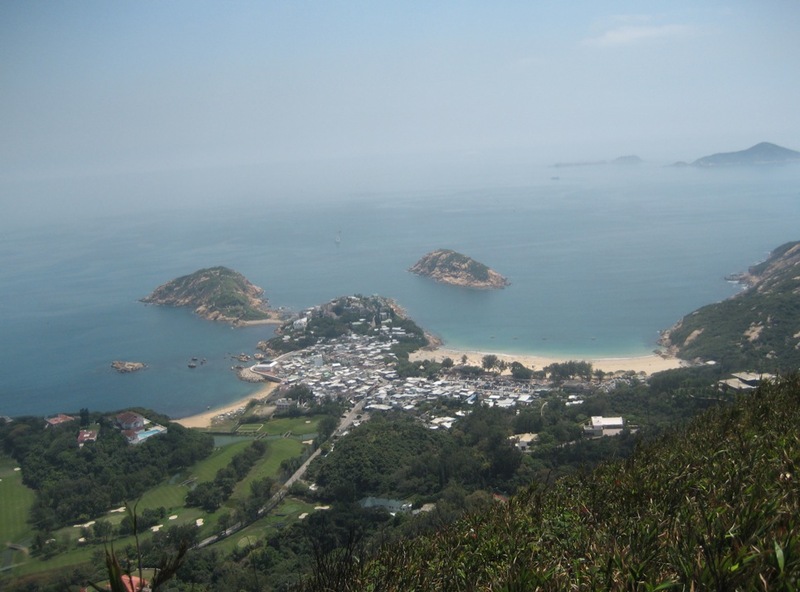 We continued the trail on a paved road, looked at Chai Wan in the North (massive settlement at the end of the Island MTR line) and then made our way on the final steps to Big Wave Bay. That’s where the trail ends and we hoped on a bus to Shek O, for our late Thai lunch (a classic for all Dragon’s Back Hikers! ).